Mira Calix, real name Chantal Passamonte, is an artist signed to Warp Records who mixes her intimate vocals with jittering beats and experimental electronic textures. Having previously worked as press officer for Warp Records she quit to concentrate on producing her own material. 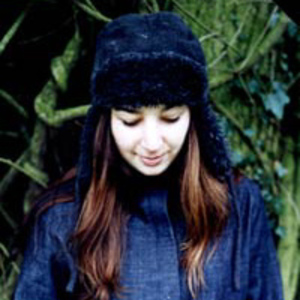 Her first release on Warp was the "Ilanga" 10" co-produced with Autechre. The "Pin Skeeling" single followed in 1998m notably featuring a Boards of Canada remix. Her debut album ?One on One? was released by Warp on March 6, 2000. This was followed by a cd release of her radio sessions for John Peel later that year. The "Prickle ep" was released in 2001 featuring an Andrea Parker remix. 2003 saw the release of Nunu, a limited edition cd and t-shirt designed by Catherine Haines. The cd featured an 13 minute excerpt from a 30-minute piece created especially for the Micro Music-la Batie Festival De Geneve, 2002, later performed at the Royal Festival Hall. The track is based around the sounds of insects. Passamonte's 2nd full album, Skimskitta was released on Warp in March 2003, featuring more intricate and dark melodies than her debut. 2004 saw the release of 3 Commissions, a collection of installation and art soundtracks featuring the full version of Nunu. Eyes Set Against The Sun is Mira Calix's 3rd full album. Released on 15.01.07 it continues Chantal's exploration of her own intricate electronic universe, developing and expanding the sound of her first two records. Chantal is also a member of Alexander's Annexe, an ensemble also featuring David Sheppard and Sarah Nicolls. A live recording entitled "Push Door to Exit" was released on Warp in 2006.